Bird invasions on any given property can be frustrating. Apart from making loud noises when you need to catch some sleep, the birds can leave your environment messed up with their droppings and feathers. They can actually also cause structural damage to everything, including building nests in areas you would rather keep free from such things. Bird populations can pose hazards to your health as well considering that they transmit diseases to you through droppings and airborne fungi. It is one thing to have your garden as a bird sanctuary and quite another when birds invade it and start creating all kinds of nuisances. They can make working in a commercial area tedious. When facing bird invasion on your residential or commercial property, you will need to find a way through which you can relocate the populations from your structure. This can be very hard, especially considering that birds can fly away and come back as they wish. Integrated bird management services by Toro Pest Management are your ultimate solution to the bird menace. We use the best pest bird control methods to get your property back to its serenity with our range of exclusion devices and products which include stainless steel spikes, stealth netting and pin and wire among other exclusionary devices. They help greatly in protecting your structures from the invading birds. Toro will come up with a customized program to suit your property needs. This is important because different structures come in different and unique sizes and shapes, hence the need to customize to meet your needs. 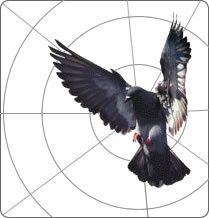 Step 1 – Our integrated bird pest control will begin with creating this detailed program. We will conduct a complete inspection and analysis of your structure so we get the direction to start with the control program. Step 2 – We will then determine the bird food source on the property and make recommendations on how that can be dealt with to keep future invasions or recurring invasions at bay. Step 3 – Next, our integrated pest bird control team will move to identify roosting sites, lofting sites and nesting sites for the birds on your property. All this data collection helps us in making the right system recommendations and as soon as you give us the go ahead, we will start working on your structure. We use green pest bird control techniques that are safe and effective. The program will include frightening the birds away before then installing bird exclusion devices on your property. Our approach is very effective because we don’t end up exterminating the birds which have ecological importance but we nonetheless keep your property protected from invasions with our early bird pest control services. Our guarantee is real. If the birds come back even after we have put exclusion devices, we will be back on your property to install another device without any extra charges for you. Toro Pest Management has the best bird pest control services you can rely on. TORO’s bird management experts can provide you with the best possible solution to any bird problem and protect your family, employees, clients and guests from these potential health hazards. In addition, our guarantee is the best in the industry, one year on installation and five to ten years on materials guarantee. If we install any bird exclusion device and it fails, we will go back and replace the system with another type of exclusionary device free of charge. Our goal is to over exceed your expectations and for you to be 100% satisfied with our service.